In this application note we demonstrate how to measure the impedance of a photovoltaic module with the Bode 100. To ensure stable operation of solar driven power systems it is advantageous to include a model of the solar cell or photovoltaic (PV) module in the calculation. The Bode 100 can be used to extract the parameters for an equivalent circuit model of the photovoltaic cell. 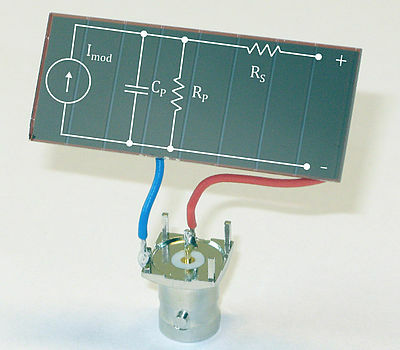 Wideband equivalent circuit models are generally not provided by the manufacturer of PV modules. 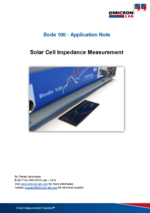 In this application note we show how the Bode 100 can be used to measure the impedance of a solar cell. The impedance of a solar cell is not only dependent on the frequency but also on the operating voltage which depends on the amount of light absorbed by the cell. To keep the measurement setup simple and reproducible we measure the impedance of the cell under dark conditions. The operating point is adjusted by applying a DC voltage to the cell. 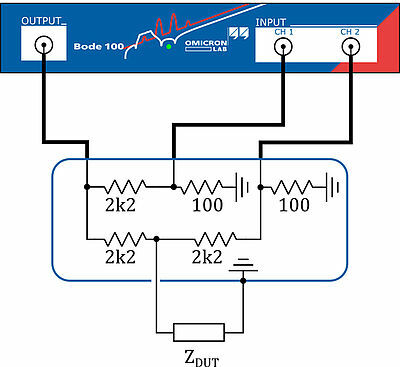 Therefore we use the Bode 100 in conjunction with the Picotest J2130A DC-Bias Injector.